Join us for a tour of a local Iditarod and Yukon Quest racing kennel, owned by Cody Strathe and Paige Drobny. 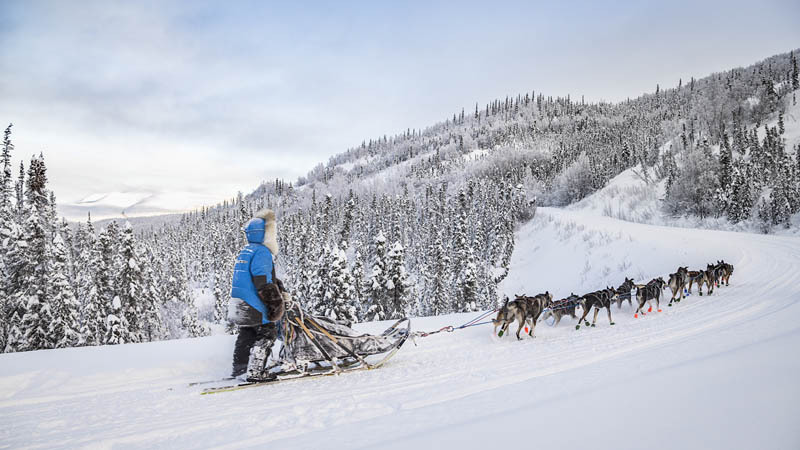 Spend some time with the charismatic Alaska Husky atheletes and talk to experienced mushers about their time on the race trail. Guests will be taken on a dogsled ride to experience all the excitement that dog mushing has to offer. Squid Acres also offers day trips to learn to drive your own sled and multi-day expeditions near Denali. Tours by appointment only. Summer tours available in Cantwell.